The city of Fountain Inn has approved plans to expand the current Woodside Park and are currently in the process of finalizing the $4.2 million project. The project consists of the redesign and renovation of the existing sport park (Woodside Park). An will encompass an area of approximately 14 acres. Renovations includes three new baseball/softball fields, a T-ball field, a new multi-purpose field, batting cages, new playground, new press box and concession stand new parking extended to Woodside Avenue and sidewalks. 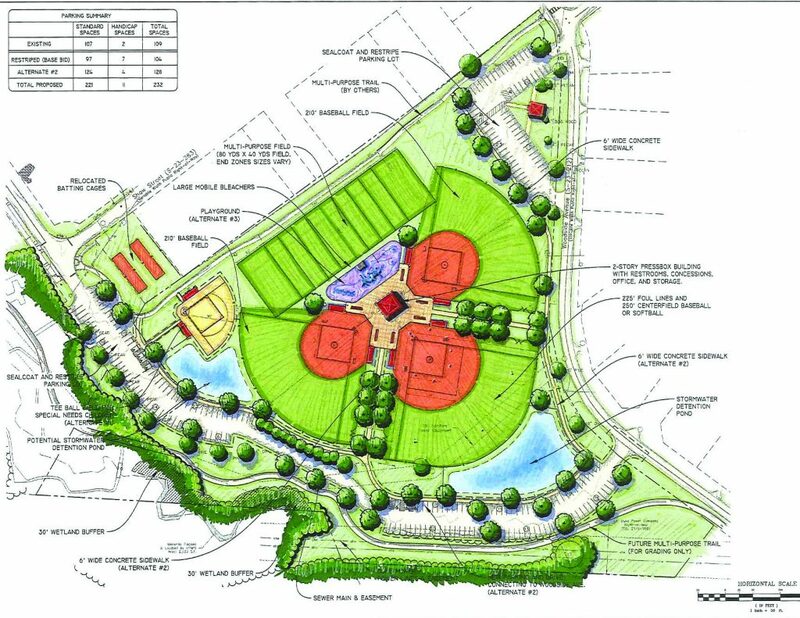 The work will include, but not be limited to, clearing, grubbing, removal of existing facilities, grading, site drainage, storm water pond, fencing, building & dugouts. Playground installation, asphalt parking & driveways, curb & gutter, sidewalks, landscaping, site lighting, erosion control, irrigation, grassing, and approximately 2500 cubic yards of imported fill will be included. The T-ball field is also proposed to be a handicap accessible field. City officials are in the process of getting the field designed to meet the specifications of The Miracle League. This field will enable the city to expand recreation facilities to children with mental and physical disabilities. The baseball field will be constructed on a rubberized turf field that accommodates wheelchairs and other assertive devices. There will be 3 Baseball fields with distances set from (200-225ft). A Multi-purpose field will also be included that will be used for (Football, Lacrosse, and potentially Soccer). Plans also call for a State-of-the-Art playground. 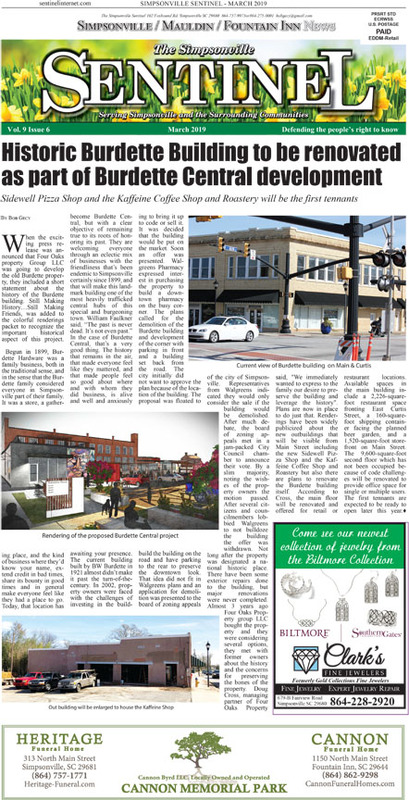 ADC Engineering has been chosen as the landscape architect and project manager. The City is currently requesting qualifications from contractors for this project. Officials hope to go out for bid in February and break ground around June 1, 2019. The park would be slated to open in time for baseball/softball season 2020. Not part of the Woodside Park revitalization project, but related, is Woodside Streetscape and Woodside Connector projects. The Woodside Connector projects involves turning the existing sidewalk path from Fairview Street Park to the picnic shelter at Woodside Park into an 11-foot multi-use path that will eventually be part of the Swamp Rabbit Trail system. The Woodside Streetscape project involves sidewalks, decorative lighting, landscaping, storm water improvements, and more on Woodside Avenue, Jones Street, and Diamond Tip Blvd. Both of these projects are underway with SCDOT.